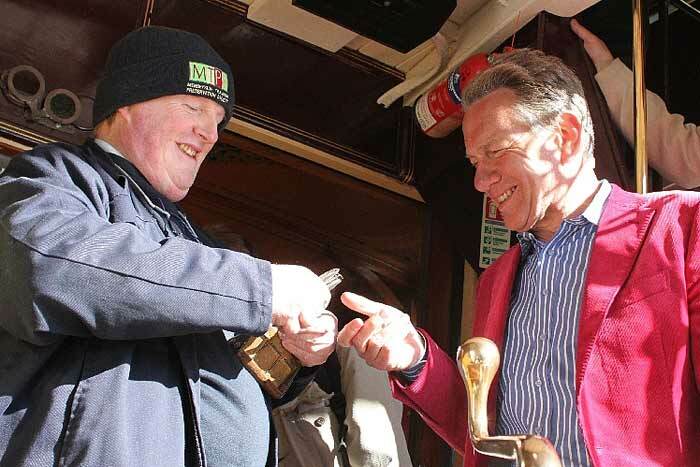 Children in Need Appeal Tramathon. 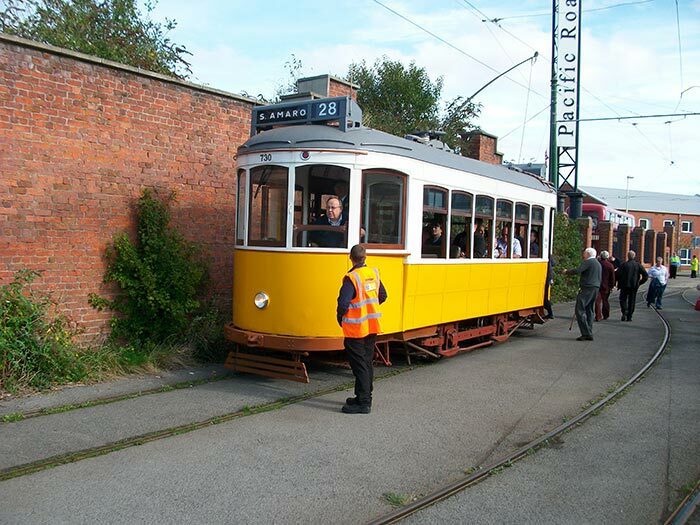 The tramway staff at Taylor Street raised a considerable sum of money for Children in Need by running a continues service over 24 hours. 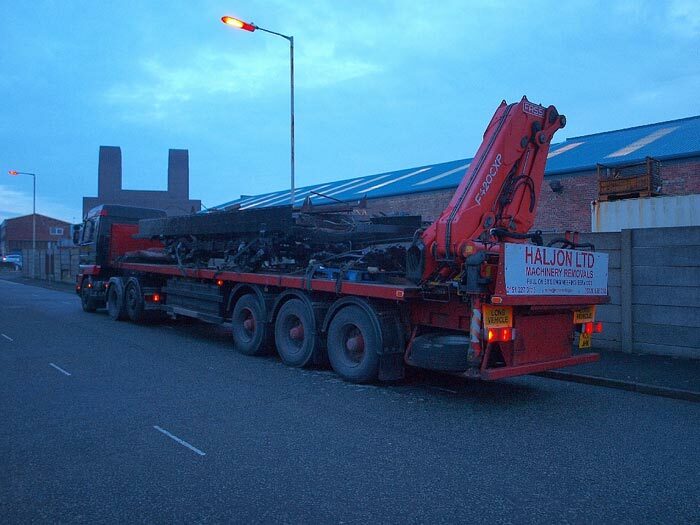 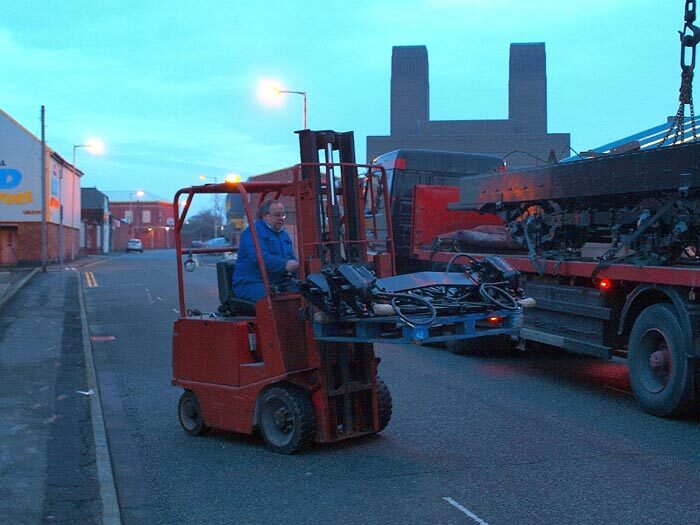 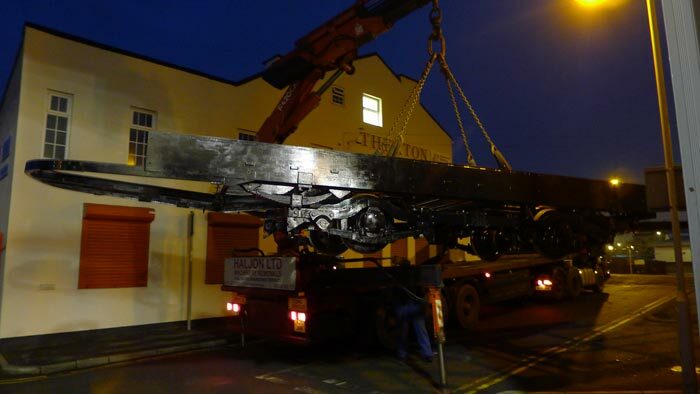 These pictures were taken in the early hours of the morning and the driver was Mike Mercer. 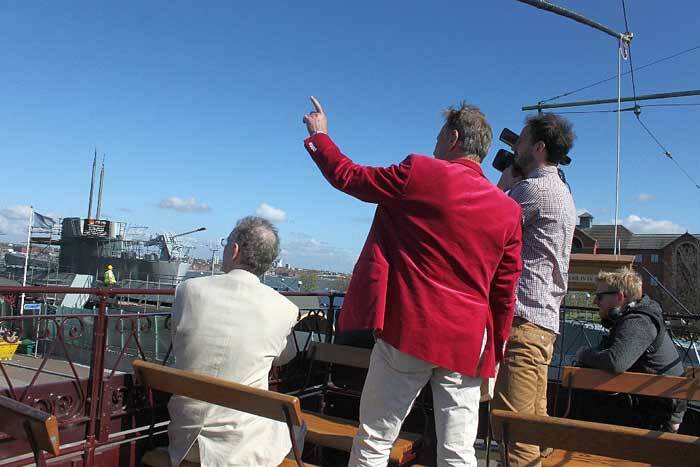 Photos taken at 4 10 am, 6 10 am, 7 20 am & 7 35 am. 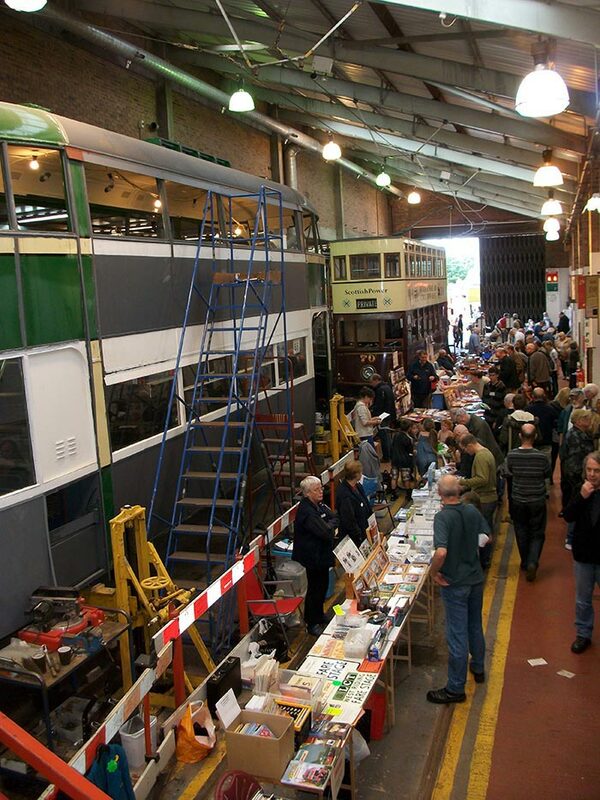 Wirral Bus and Tram Show. 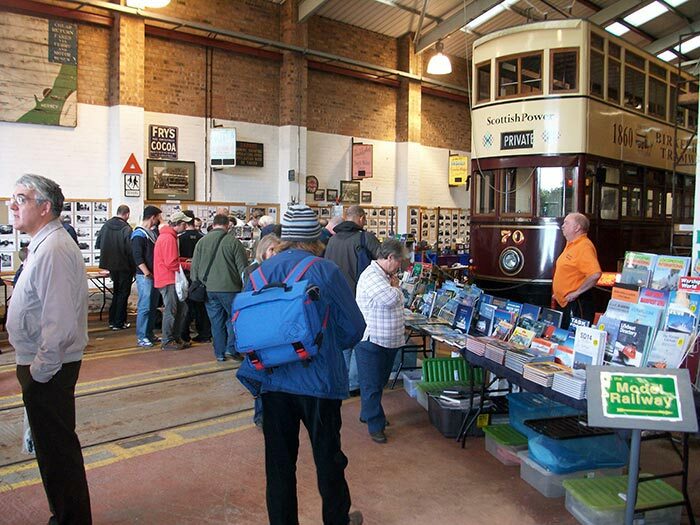 A bumper show, aided by fine weather drew in the crowds this year. 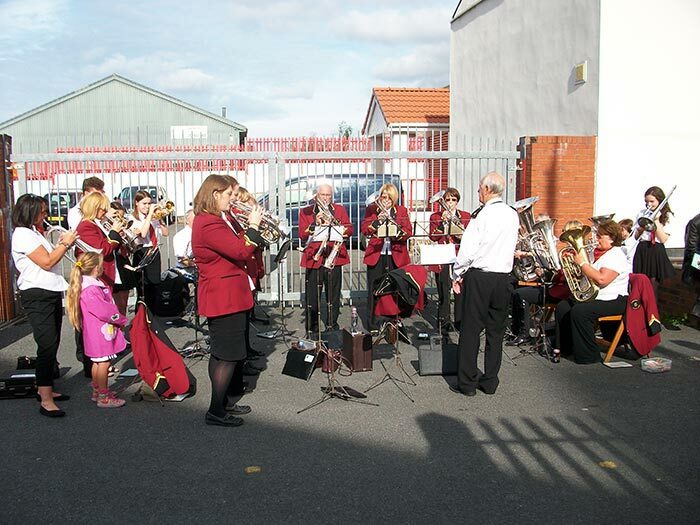 Special thanks to the Frodsham Silver Band for their contribution. 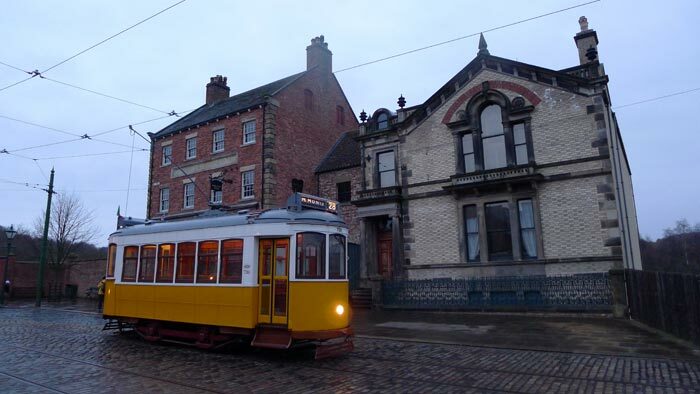 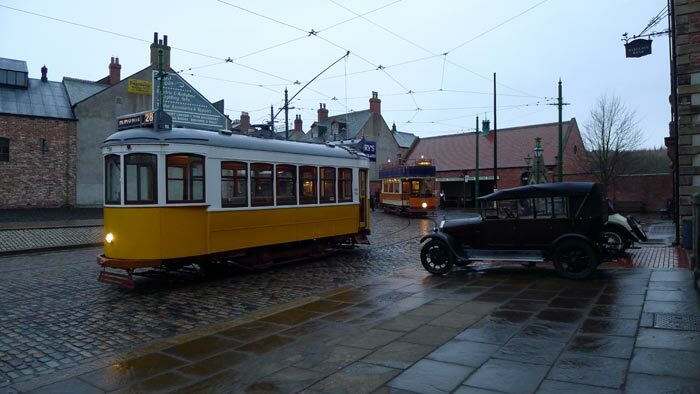 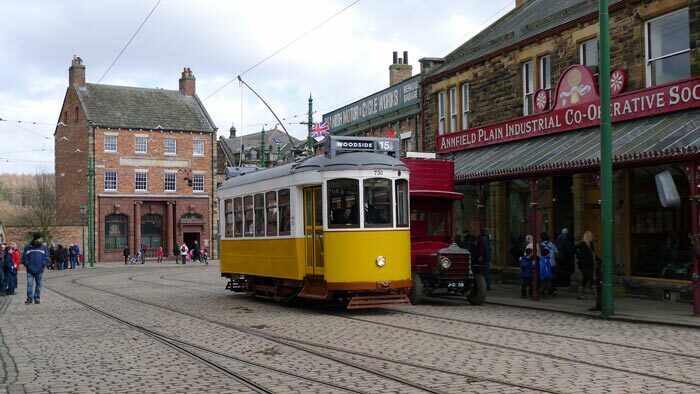 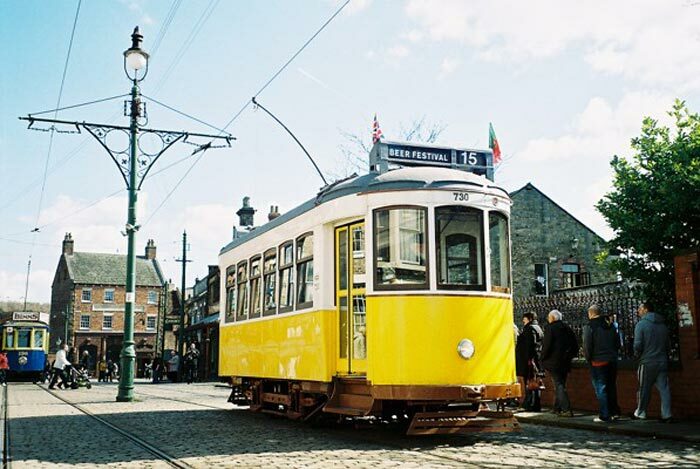 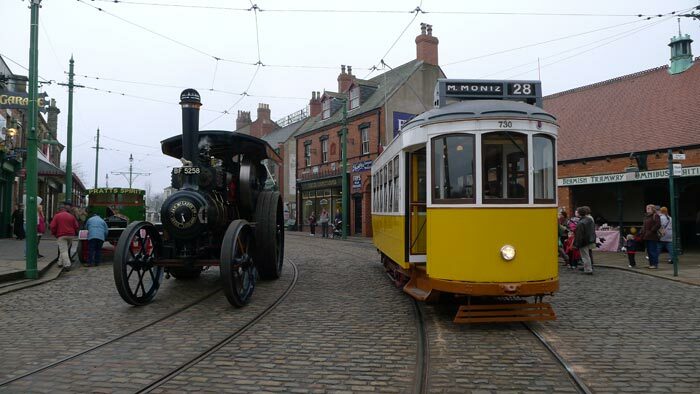 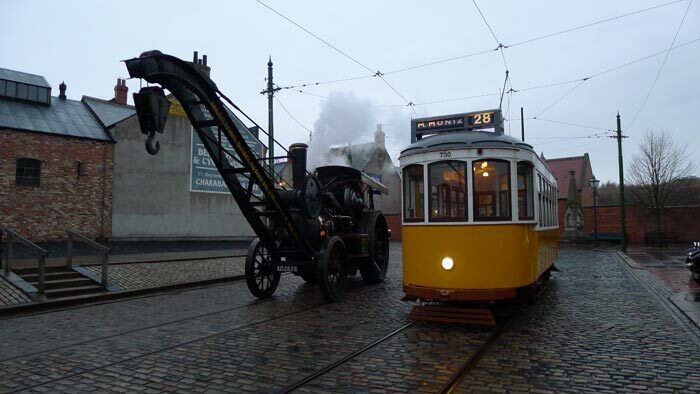 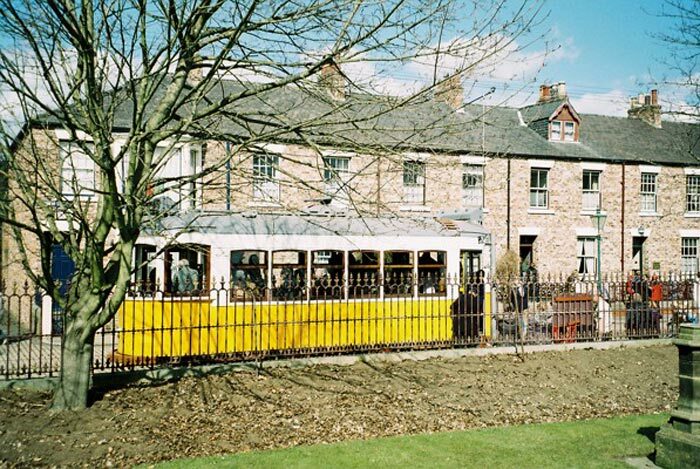 Lisbon 730 in service at Beamish Museum. 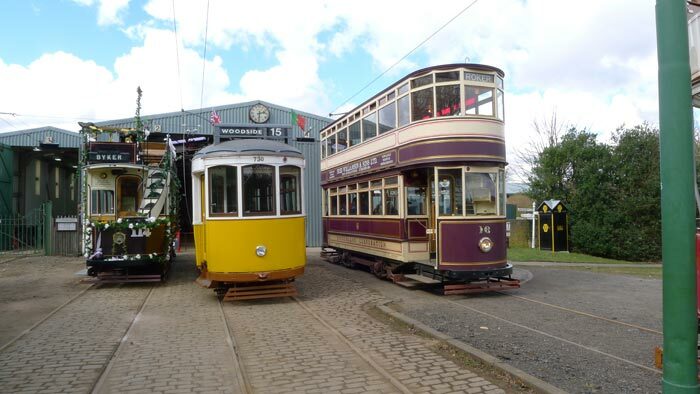 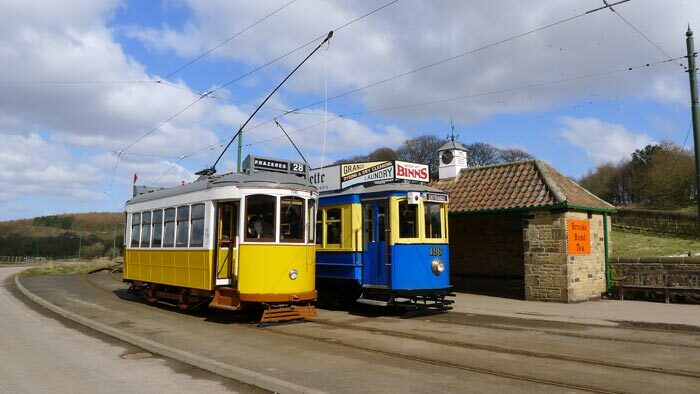 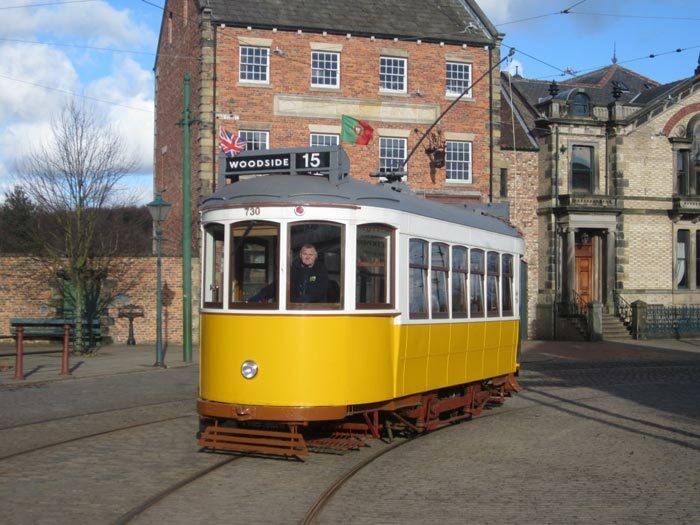 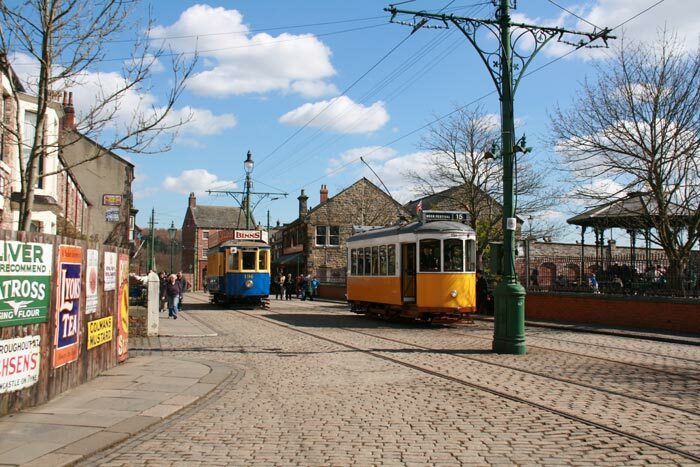 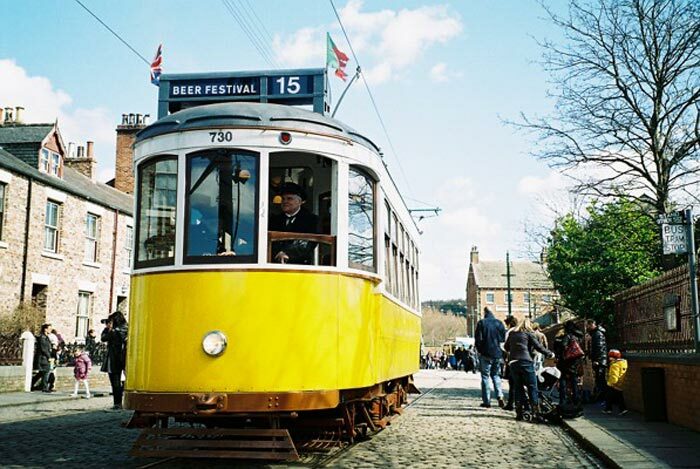 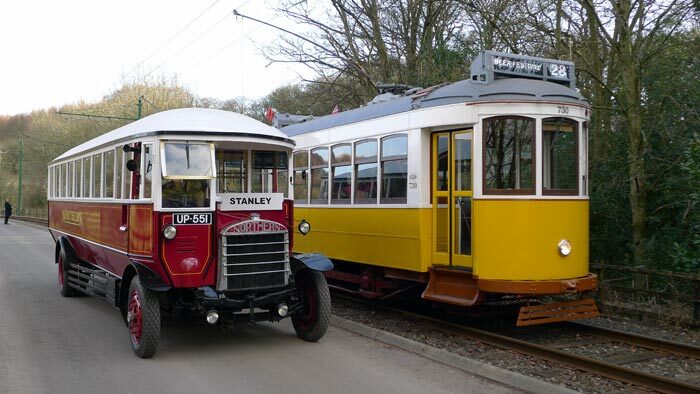 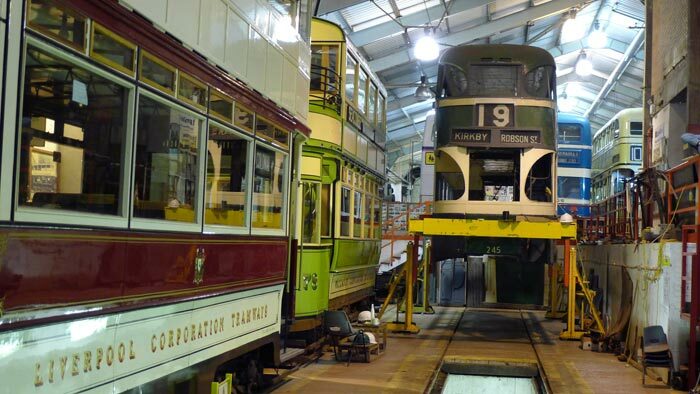 The tram ran in the 40th anniversary event "Our Friends Electric", alongside cars such as Glasgow 1068, on loan from Crich. 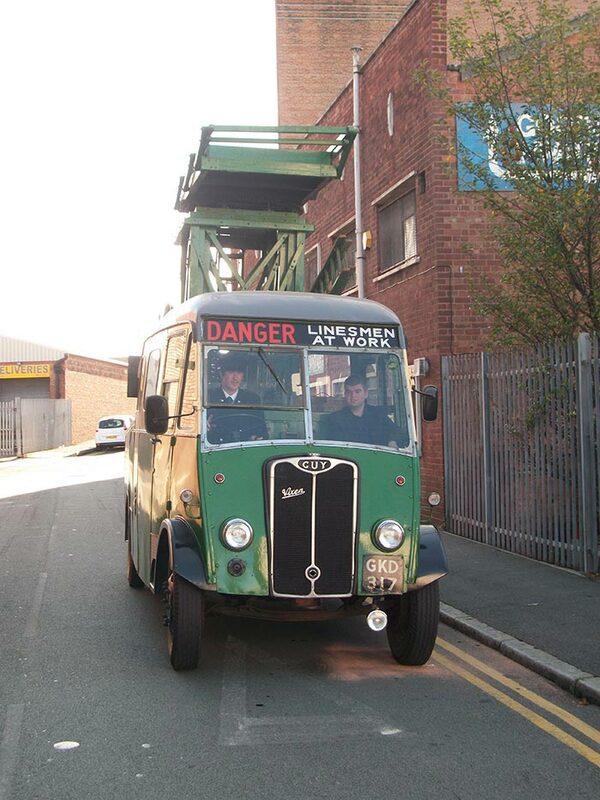 Photo by Ieuan Rayner and Mike Mercer. 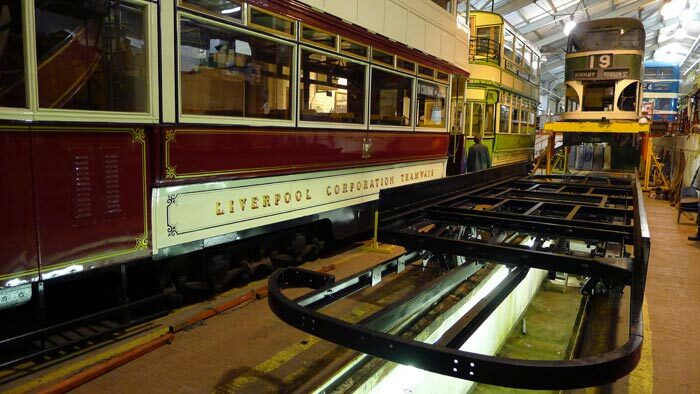 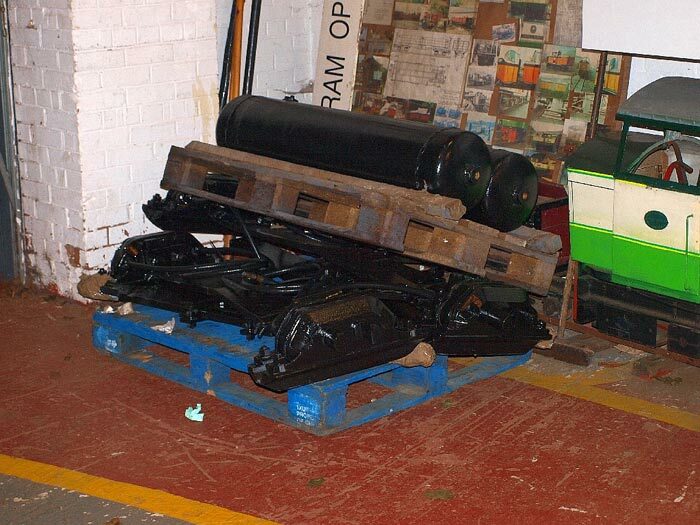 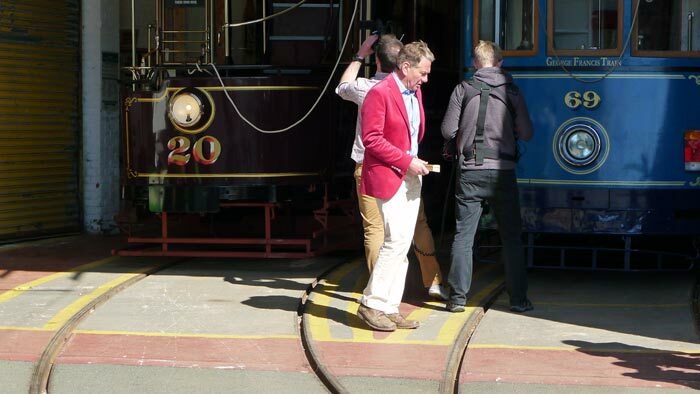 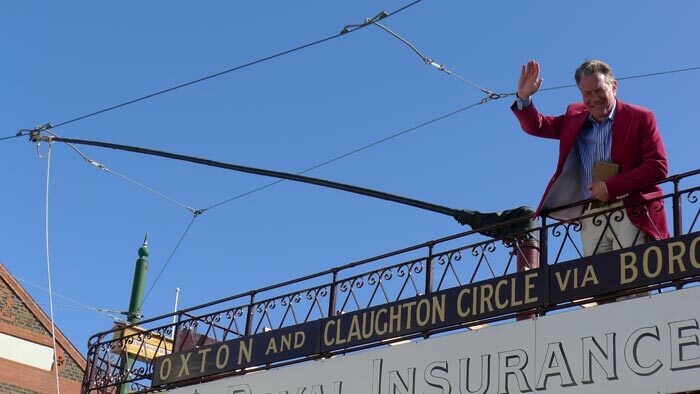 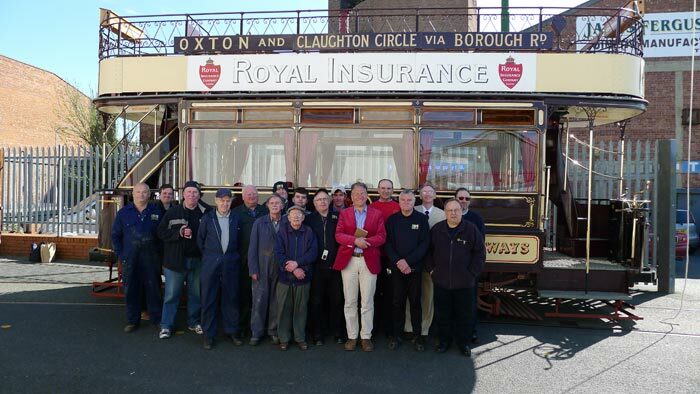 Former transport minister and TV presenter Michael Portillo came to Wirral Transport Museum on Wednesday 1st May. 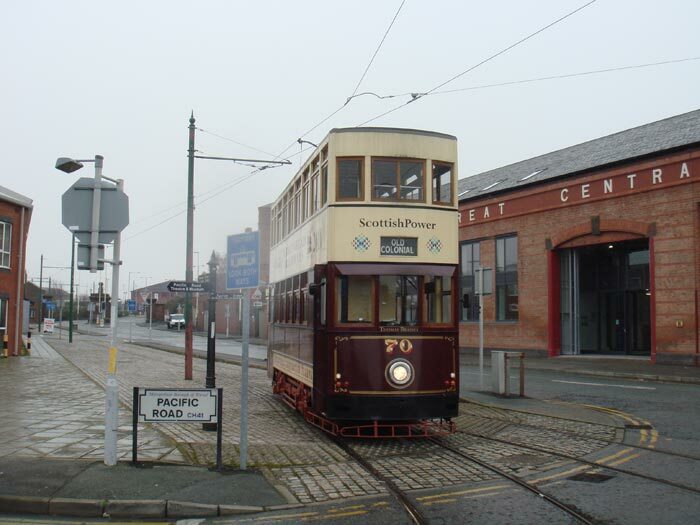 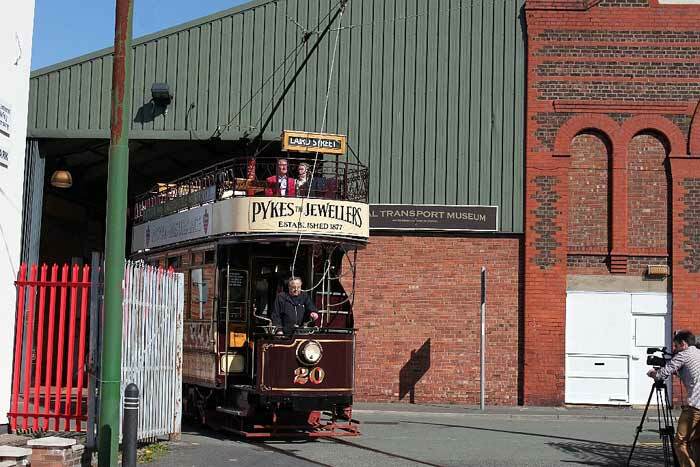 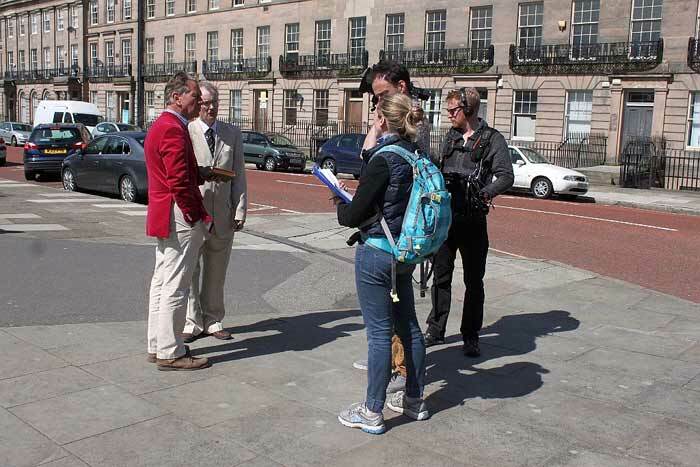 He was filmed on Birkenhead 20 for another of his popular BBC rail programmes. 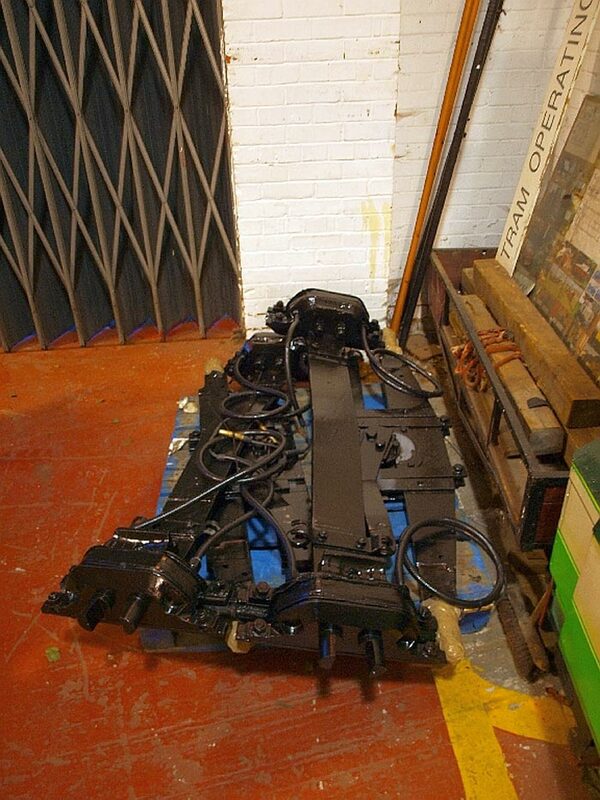 Transmission should be sometime next January. 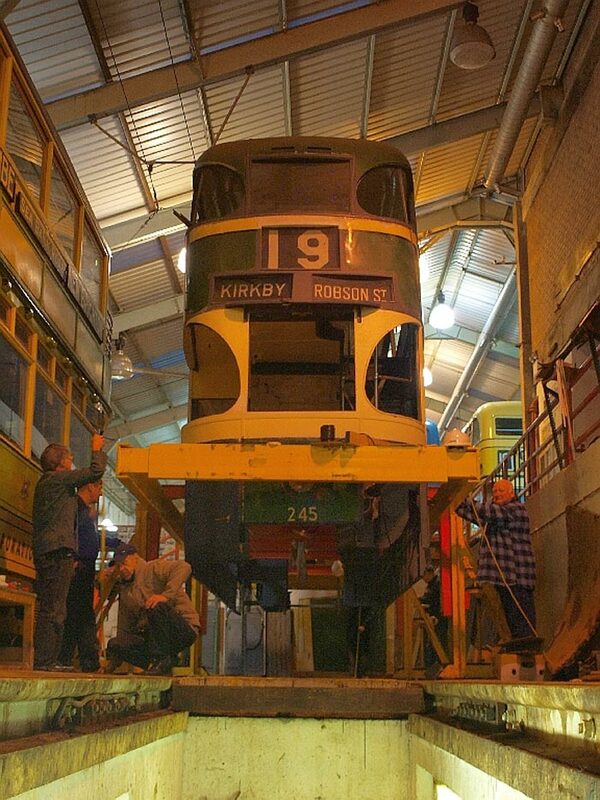 Photo by Mike Mercer and Dave Anders. 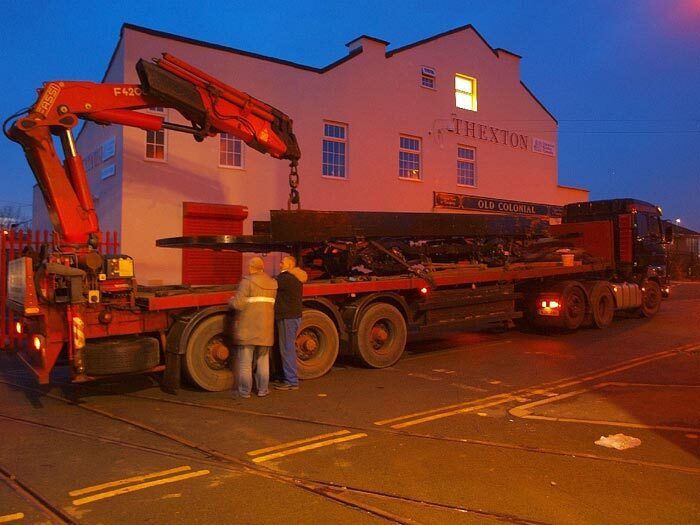 A big day for Liverpool Baby Grand 245 and a great start for the New Year. 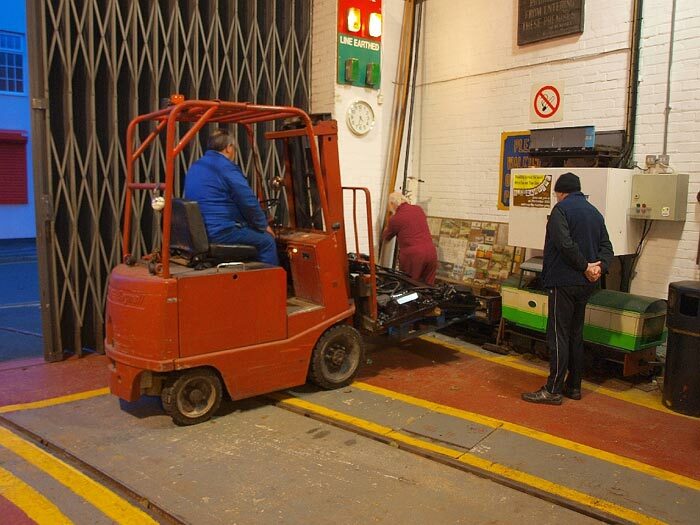 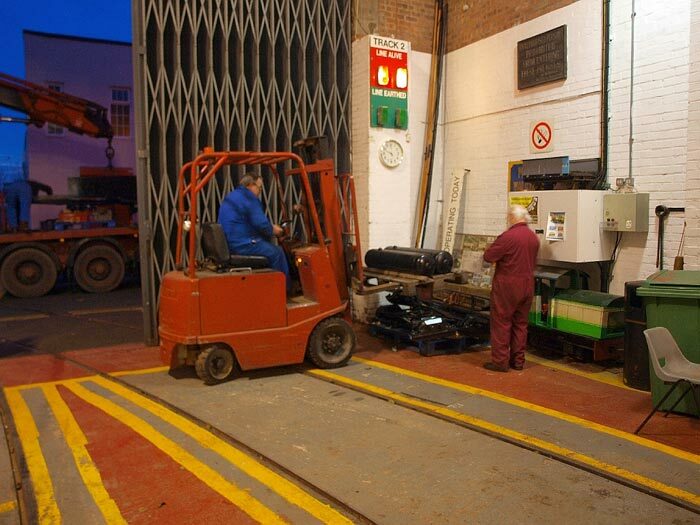 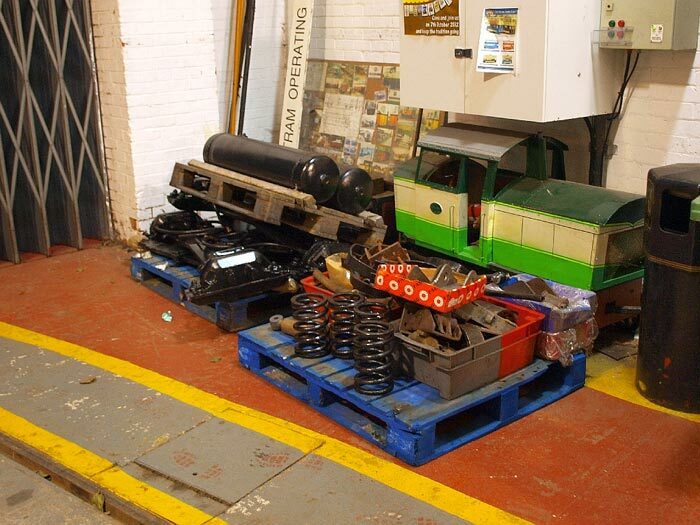 The new Under Frame and refurbished Truck arrives at Taylor Street Depot. 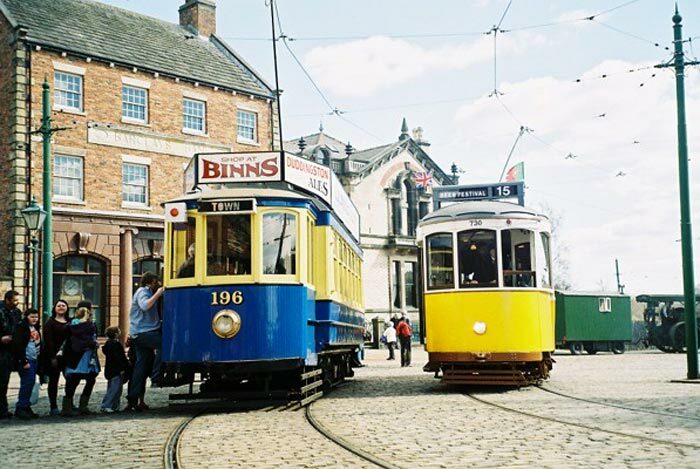 Photos 1-10 by John Hewitt. 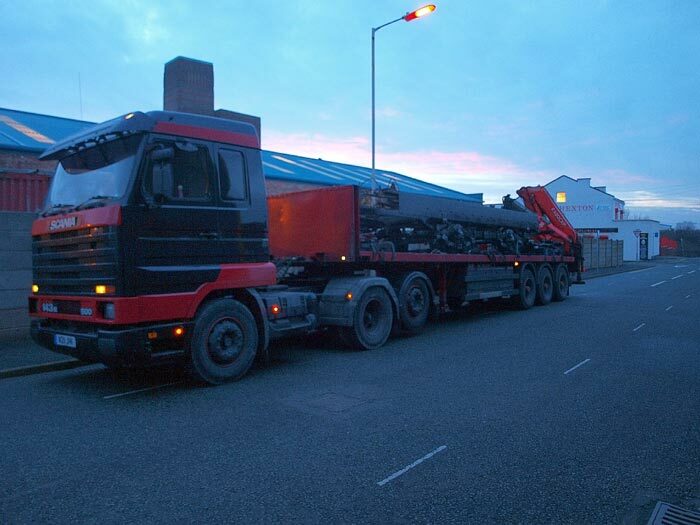 Photos 11-13 by Mike Mercer.